Born in Kent, England in 1971, Richard Smith started playing guitar at age 5 under the instruction of his father. At first concentrating on the country picking of Chet Atkins and Merle Travis, the youngster digested everything he heard, learning even the most complicated tunes with ease and amazing everyone with his dexterity. It seemed that not only did he possess great physical skill, but a photographic musical memory as well. Often, a single hearing was all it took to get a piece under his fingers. He used all 10 fingers to play bass, rhythm and melody simultaneously, while easily switching between thumbpicking and flatpicking. Smith finally met his hero, Chet Atkins, when he was 11. The star invited Smith to share the stage with him at Her Majesty's Theatre in London in front of an audience of 1,000. At first, Atkins accompanied him; but later, he just listened in stunned silence while young Smith played Atkins' own arrangements perfectly. By the time Smith reached his early 20s, Atkins and Jerry Reed began to refer to him as their hero. 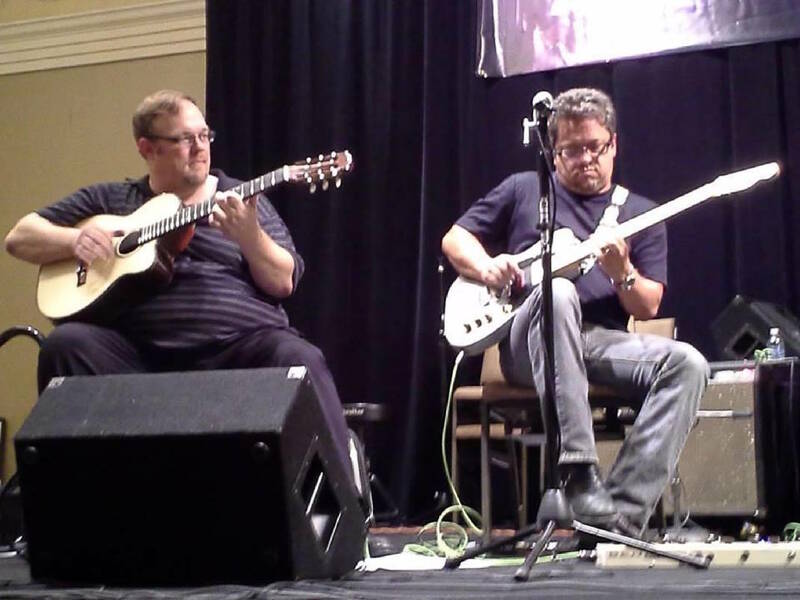 Now residing in Nashville, Smith has toured the world as a solo artist, teaming up with wife, Julie Adams, for a unique guitar and cello duo. He also performs with his brothers, Rob and Sam, as the Richard Smith Guitar Trio, and with his swing band, The Hot Club of Nashville. The guitar virtuoso stops in Chattanooga Thursday, Jan. 10, for a 7:30 p.m. show at Barking Legs Theater. In 2001, Smith became the National Fingerstyle Guitar Champion in Winfield, Kansas. He was elected Thumbpicker of the Year in 2008 and inducted into the National Thumbpickers Hall of Fame in Kentucky in 2009. He is also a recipient of the Golden Thumbpick Award by the Association of Fingerstyle Guitarists in California. Richard's ever-growing repertoire ranges from Bach to The Beatles. He plays Scott Joplin rags just like Sousa marches, Chopin, Mozart, fiddle tunes, jazz standards to Django Reinhardt gypsy swing. As Atkins said of Smith, "He can play anything I know, only better."